Antimicrobial resistance in Streptococcus pneumoniae and other community-acquired pneumonia pathogens has progressed at an alarming rate. Approximately one-third of pneumococci exhibit reduced susceptibility to penicillin (i.e., higher MICs) that also confers reduced susceptibility to other agents in the β-lactam class of antibiotics. Macrolide resistance levels range between 23% and 30% in the United States, and much higher levels are observed in some other markets. Table Mechanism of Action of Drugs Commonly Used in the Treatment of Community-Acquired Pneumonia shows the prevalence of resistance to various antibiotics in S. pneumoniae and Haemophilus influenzae. Penicillins and cephalosporins (^-lactams) ,6-lactams bind to penicillin-binding proteins (PBPs), preventing bacterial cell-wall formation. Structurally different ,6-lactams target different PBPs; many broad-spectrum ,6-lactams bind to more than one PBP, enhancing overall potency. Different ,6-lactams cause a variety of biochemical, morphological, and antibacterial effects within the same bacterial species. Unrelated species of bacteria respond differently to the same ,6-lactam; some are both killed and lysed, and others respond with a reversible inhibition of growth. The mechanism by which cell lysis and death occurs is complex; PBPs are involved in numerous roles, including maintenance of structural integrity, determination of cell shape, cell division, induction of capsule synthesis, phage resistance, and regulation of autolysis. ,6-lactams may be bacteriostatic or bactericidal in effect. Organisms that are metabolically inactive and those lacking bacterial cell walls (e.g., Mycoplasma) are not susceptible to ,6-lactams. Macrolides and ketolides Macrolides and ketolides act by binding to ribosomal RNA (rRNA) in the 50S subunit of the ribosome. These drugs are bacteriostatic but can be bactericidal in highly susceptible bacteria or at high concentrations. Fluoroquinolones Fluoroquinolones interact with two related yet distinct targets within the bacterial cell: DNA gyrase and topoisomerase IV. DNA gyrase and topoisomerase IV are vital enzymes involved in bacterial DNA replication. These agents are potent inhibitors of nucleic acid synthesis. The exact nature of the interaction of quinolones with their target enzymes is not completely understood; however, this interaction blocks the progression of DNA replication, leading to strand breaks and rapid cell death. The inhibition of DNA gyrase is bactericidal, whereas inhibition of topoisomerase IV is primarily bacteriostatic. Tetracyclines Tetracyclines bind to receptors on the 30S subunit of bacterial ribosomes and prevent the attachment of transfer RNA (tRNA) to the ribosomal complex. Binding to the 30S subunit effectively prevents the addition of new amino acids to the growing polypeptide chain, halting the process of protein synthesis. 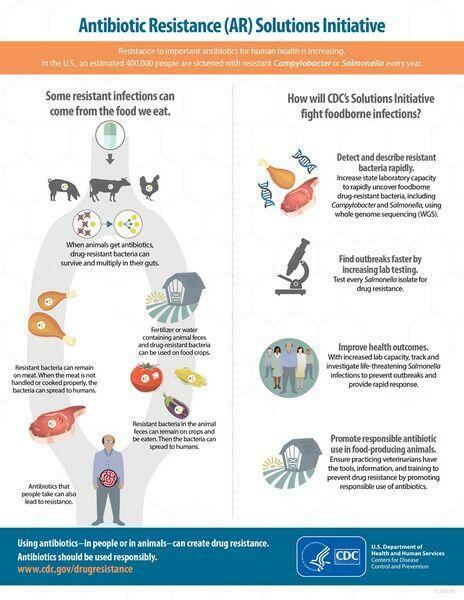 Tetracyclines are usually bacteriostatic, but in some organisms, their effect at high doses can be bactericidal. Aminoglycosides Aminoglycosides impair protein synthesis by binding to receptors on the 30S subunit of the bacterial ribosome. Binding to the 30S subunit interferes with the initiation of polypeptide formation, causes the production of defective proteins (misreading of the messenger RNA template), and disrupts ribosome function. The effect of aminoglycosides is bactericidal. Precise mechanisms by which aminoglycosides exert a bactericidal effect are not entirely understood. Glycopeptides Glycopeptides inhibit bacterial cell-wall biosynthesis by blocking glycopeptide polymerization. They also alter bacterial cell-membrane permeability and RNA synthesis. Glycopeptides produce immediate inhibition of cell-wall synthesis and secondary damage to the cytoplasmic membrane. Magnesium, manganese, calcium, and ferrous ions reduce the degree of adsorption ofvancomycin to the cell wall, but the in vivo importance of this interaction is unknown. Bactericidal action results primarily from inhibition of cell-wall synthesis. Oxazolidinones Oxazolidinones bind to a site on the bacterial 23S ribosomal RNA of the 50S subunit, preventing the formation of a functional 70S initiation complex, which is an essential component of the bacterial translation process. The result is inhibition of the initiation of protein translation. No direct action on DNA or RNA synthesis has been observed. Cefaclor 13 N.A. N.A. N.A. N.A. N.A. N.A. Tetracyclines 1 N.A. N.A. N.A. N.A. N.A. N.A. a High-level resistance (minimum inhibitory concentration [MIC] =2 mg/L). b Intermediate susceptibility (MIC = 0.12-1.0 mg/L). Note: Prevalence numbers have been rounded. Pathogen resistance to an antibiotic can reduce the clinical efficacy of the agent and potentially endanger the life of the patient. It is more likely to occur if a patient has had recent multiple courses of antibiotic therapy (e.g., patients who have had recurrent community-acquired pneumonia). Historically, antibiotic resistance has had an important impact on the antibacterial market, both by spurring the uptake of novel classes of agents and by causing public health groups to promote less use of antibiotics. However, the clinical impact of drug resistance is controversial, and conflicting studies have shown different relationships between infection with a resistant pathogen and clinical outcome. In specific segments of the population — such as high-risk patients with severe community-acquired pneumonia and/or multiple comorbidities — concern about antibacterial resistance plays a much bigger role in drug selection. Rising levels of bacterial resistance have influenced treatment guidelines and resulted in broad public health attempts to limit antibiotic usage. 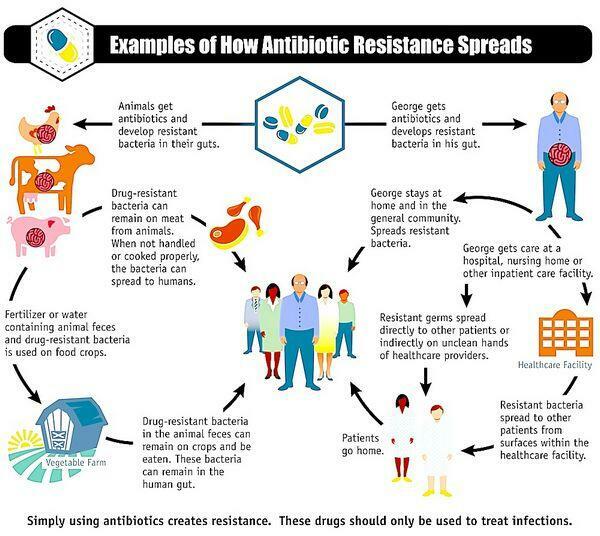 Over time, antibacterial resistance to a drug can increase in the community setting if an agent is overprescribed. 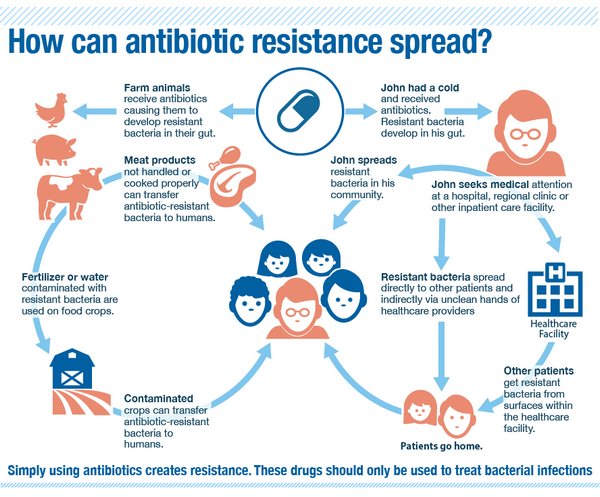 The prevalence of resistance has been related to the volume of prescribing, and overprescription has been proposed as one reason for the geographic variation in antibacterial resistance. To prevent further increases in resistance, public health groups and thought leaders have promoted use of antibiotics with low-resistance potential or narrow-spectrum therapy to treat respiratory infections. Clinical guidelines for respiratory diseases also commonly advise physicians to tailor empiric therapy to local susceptibility patterns. Pathogens Associated with acute exacerbations of chronic bronchitis.